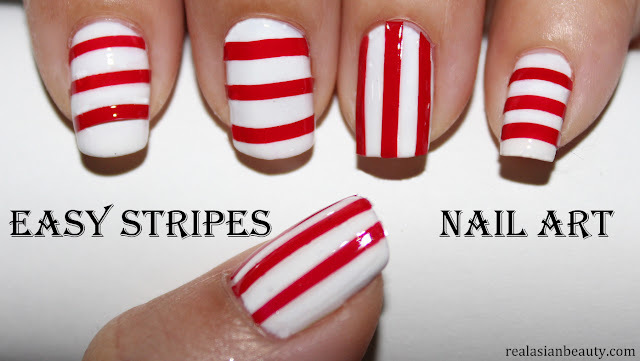 Do you find it hard to draw straight lines on your tiny nails? Here's an easy trick to help you create perfect straight lines without using a nail art brush! In case you can't play the video I embedded below, here's a collage I made to give you an idea on how to do this design. Let the polish dry completely! Very easy, right? Now even people who don't have steady hands can have those perfect straight line on their nails! 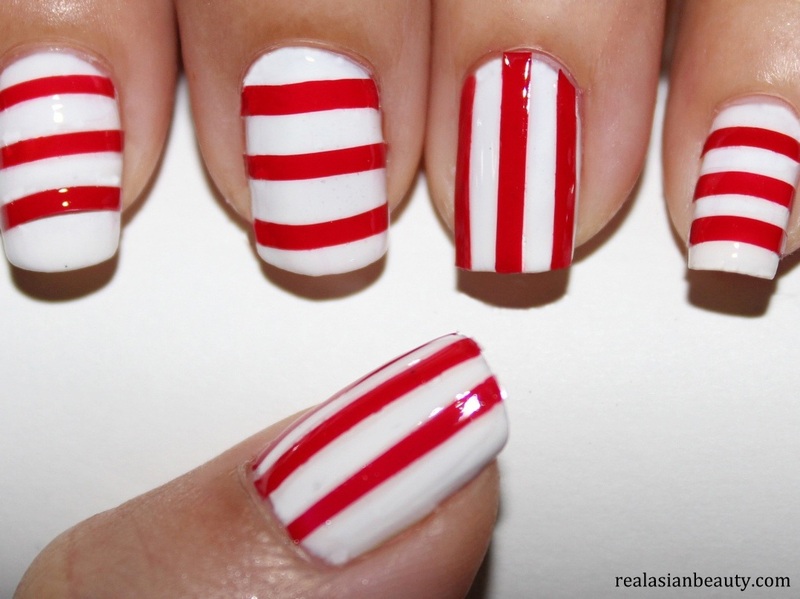 I wish I knew how to do this earlier, it would have saved me a lot of time doing my nails. Straight lines is one of the hardest designs to paint on a tiny canvass. Thanks for reading! Comment below and let us know what you think about this easy design.